I’ve had my Vita-mix for several years now and I’ve been drinking green smoothies on and off since then. But they’ve never become a daily staple. I suppose I never found the right recipe… until now. 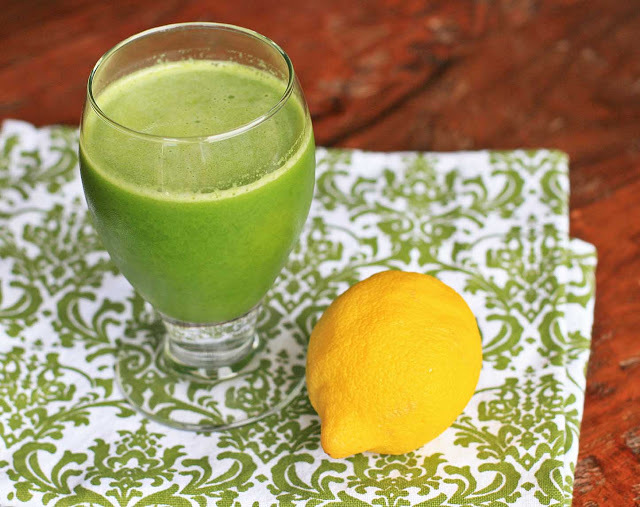 This green lemonade is the creation of New York nutritionist Natalia Rose. It’s easy to make, used ingredients I almost always have on hand, and gives me a boost of energy with every sip. And it tastes amazing.. like a lemony spiced cider. I’ve been drinking one of these every morning before work and then another before my afternoon workout. Natalia actually suggests juicing, but I don’t have a juicer and have no plans of buying one in the near future. Don’t worry- the blender works just fine. New to green smoothies and want to take baby steps? Just start with the spinach and work your way up to adding the kale. 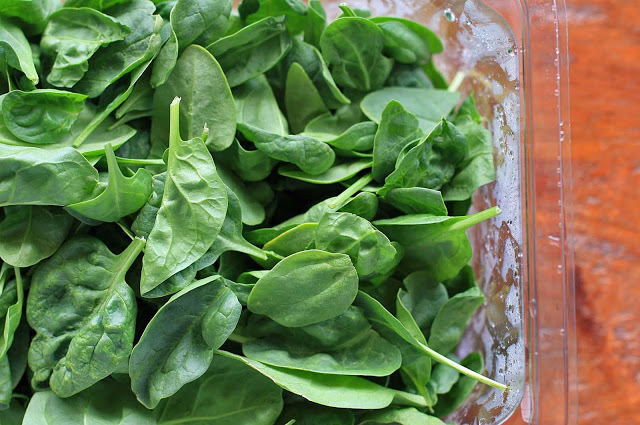 Combine the spinach, kale, apple, ginger, ice and 1 cup water in the container of your high speed blender. Turn it on and slowly increase the speed to high. Let process until smooth. Reduce speed to low and add just enough water to achieve your desired consistency level. Sweeten to taste with stevia, if needed.